That’s what my co-teacher said to me yesterday, and after some follow up questions I found out that my co-teacher, my roommate (also a teacher), and I were to compete against other teams of teachers to see who can sort garbage into organic vs inorganic…the best, I guess. Details were fuzzy, I wasn’t sure why we were sorting garbage on a random Friday instead of teaching class, and I had no idea how 60 something teachers sifting through garbage was going to go down. 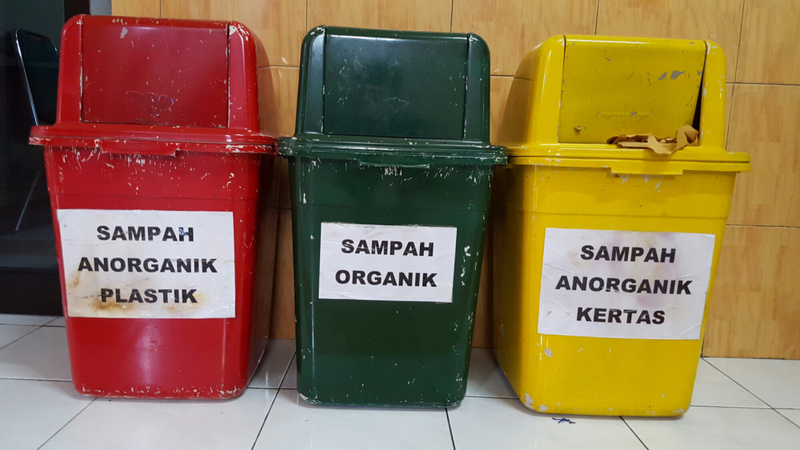 But like everything else that’s unclear and confusing in Indonesia, you just clap your hands, say alright! and run with it. So, today I came into school at 7 am mentally prepared for some competitive garbage sorting. Very similar to Earth Day, today was a day of recognizing the environment and thinking about ways to be environmentally conscious. The students had a day of making projects and posters, and the teachers had their game faces on. Not really. They were still laughing and joking like Indonesians always are. 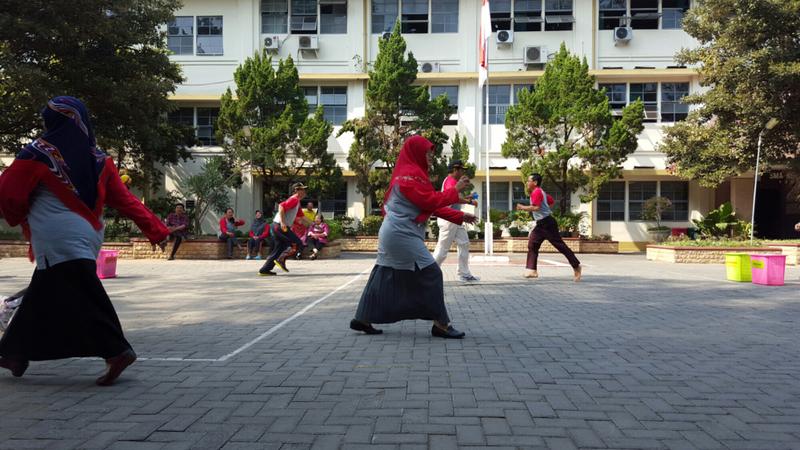 Right off the bat, the teachers and I all filed out to the yard for the big game. Turns out the bins of “trash” were actually baskets of colorful balls labeled with items you might FIND in a garbage. What a pleasant surprise. Except the balls were all labeled in Bahasa. Realizing very quickly that I would be the weakest link in my team just from not knowing what the items were that needed to be sorted, I dove into the basket and began speed-memorizing vocab. “What’s this one? What’s this one? What’s this one?” Lord help me. 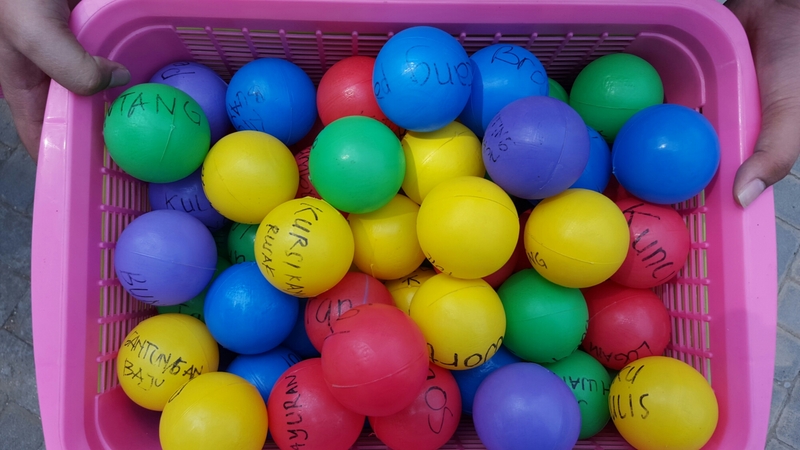 Rules of the game were as follows:Three teachers on a team, each person can only take one ball at a time, and you need to sprint to the other side and put the ball in the organic or inorganic basket. The team with the most correctly sorted balls after three minutes wins. I don’t think I’ve laughed this hard in a while. Seeing teachers run is hilarious, but seeing them try to read something on a little ball while running is even better. Turns out, I learned enough Bahasa in the last two weeks to get me through three minutes of ball sorting (Thank you Wisma Bahasa). My strategy: pick the fruits. We learned the names of all the fruits in Bahasa class last week. 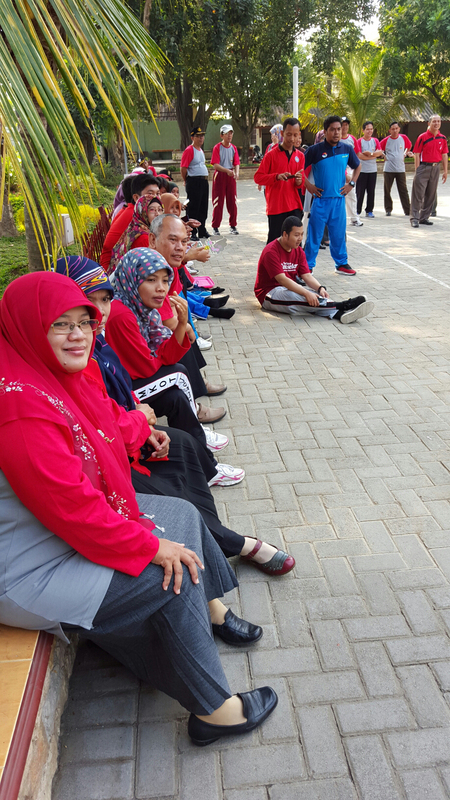 Some teachers’ sprints were more like taking a walk in the park but hilarious nonetheless. The chatty ibus. Listening to them chirp chirp chirp during the game was oddly soothing. After a final tie-breaker, a winner was hailed (my team was quite far from winning) and we all went inside to join the students. What ensued was a series of me getting mind blown over and over and over again. 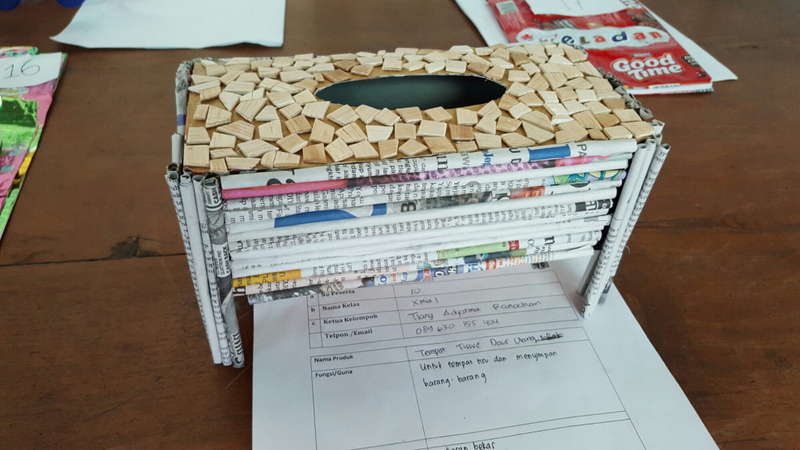 A tissue box from recycled newspaper. 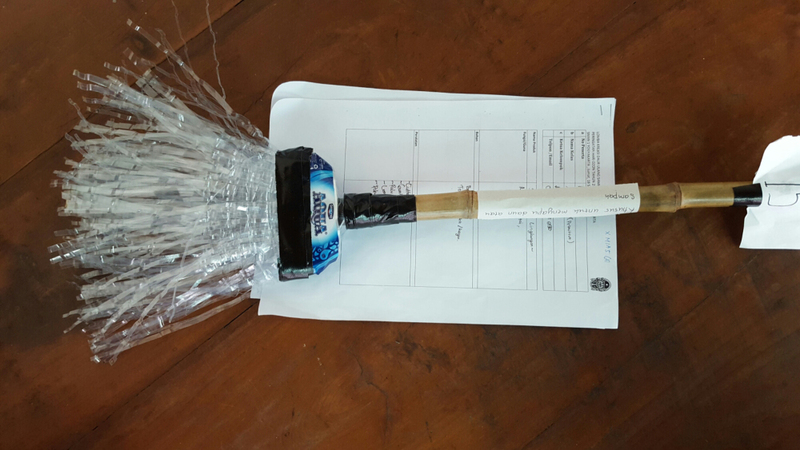 A broom made of bamboo and stripped plastic from water bottles. 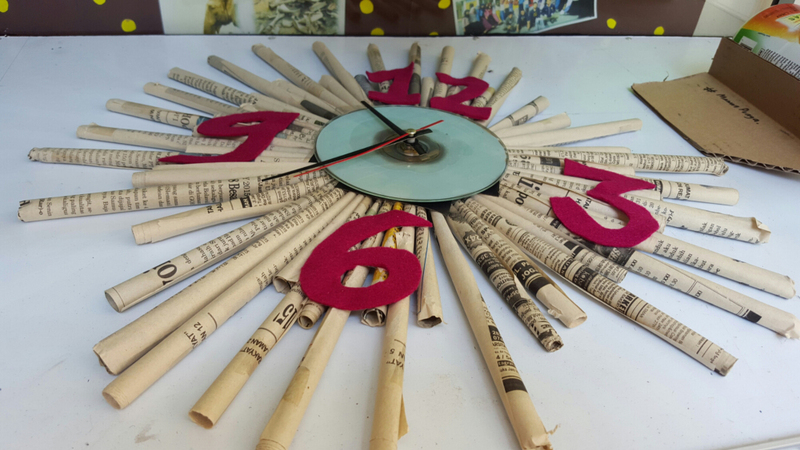 A functioning CLOCK from newspaper and a CD. 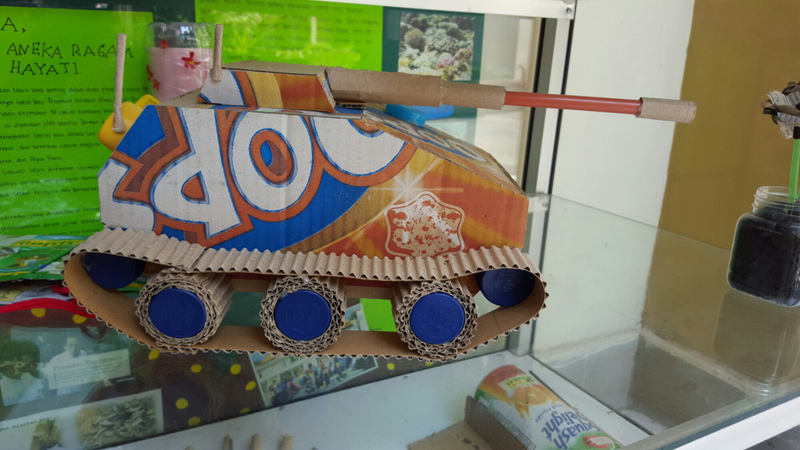 A toy tank from cardboard! 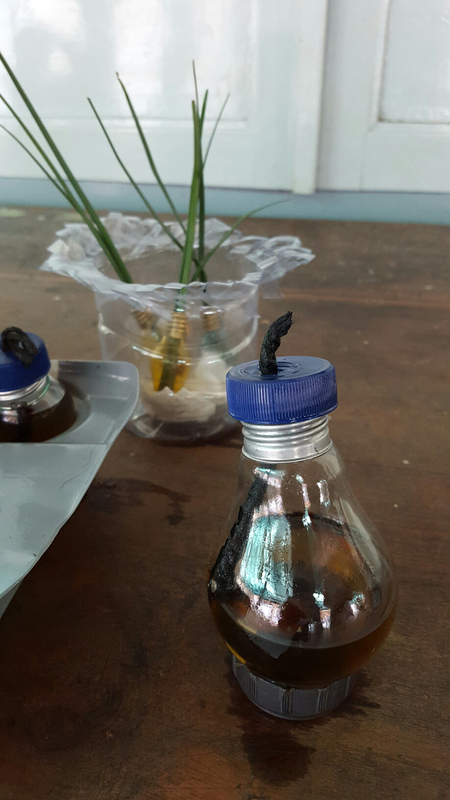 A bunsen burner from leftover palm oil in a lightbulb. 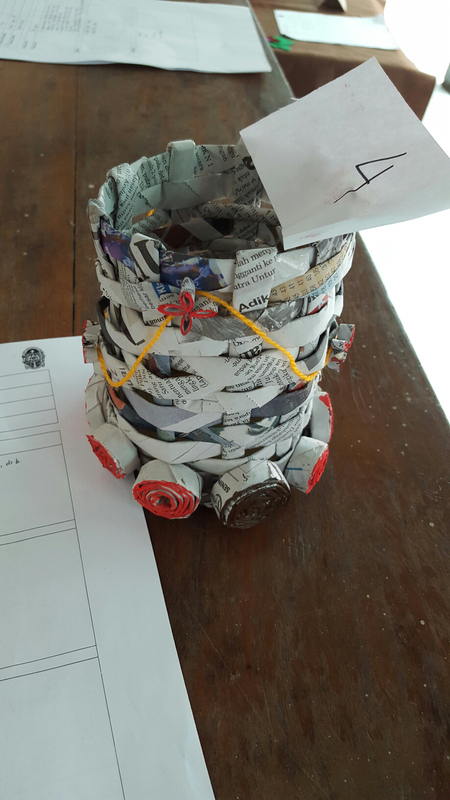 A pencil holder woven from newspaper. My all time favorite and the first prize winner. 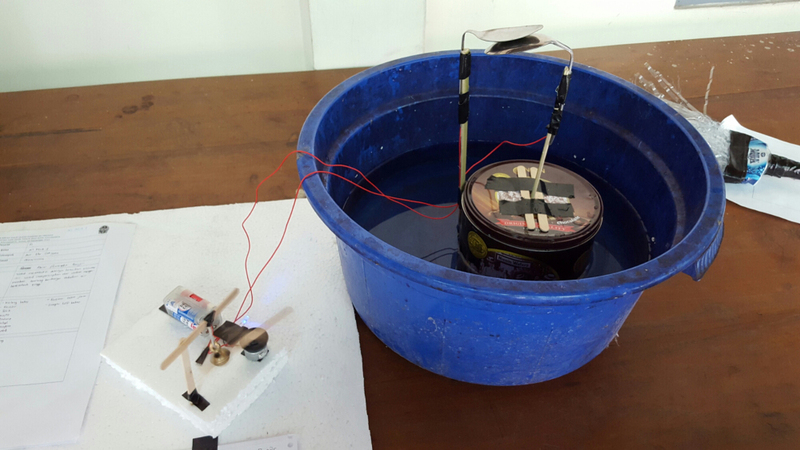 A flood alarm that rings when the water level rises and brings one buoyed spoon in contact with the other, completing an electric circuit and causing a popsicle stick to spin like a helicopter that repeatedly hits a little bell off to the side. Amazing. Just. Amazing. 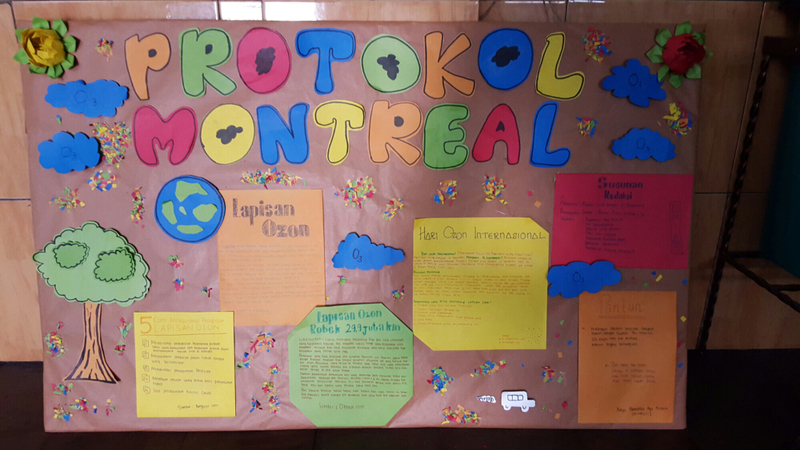 I had never seen this artistic and creative side of the students before, and I was completely awestruck. The first through sixth place winners! I even got to see a student band perform. 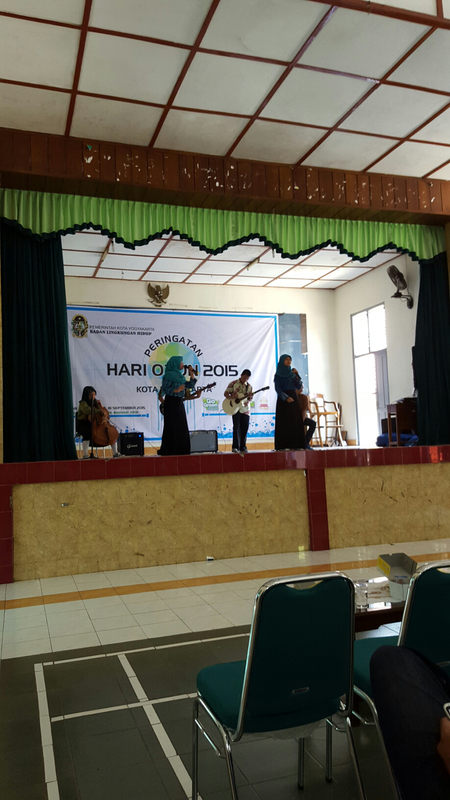 They sang an Indonesian song first, and I was super impressed. Then they busted out Uptown Funk and I was beaming. 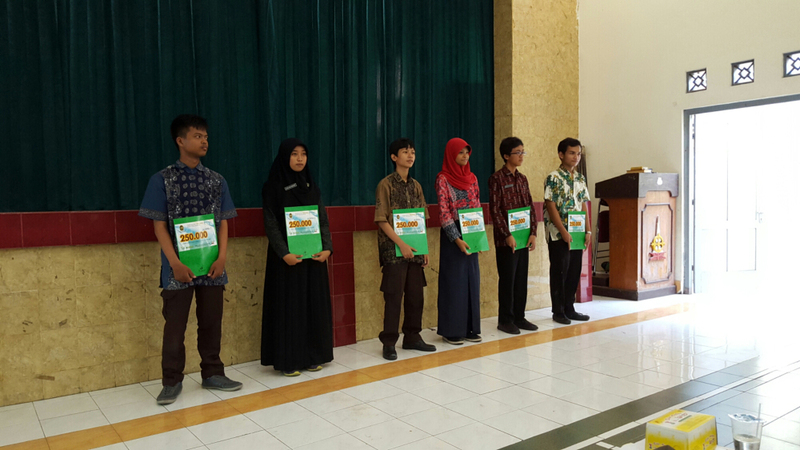 SMAN1 is a very green school to begin with – they have won awards for their environmentally friendly methods of handling waste. Trash is sorted from the start. 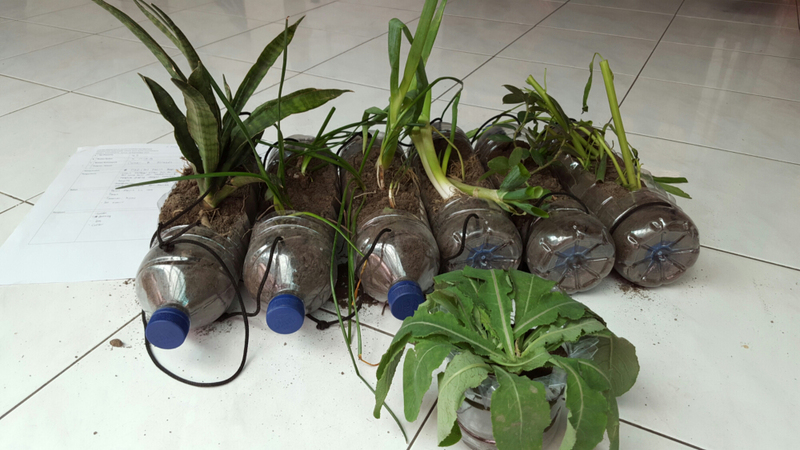 Compared to the rest of the community and even the rest of Indonesia perhaps, this is a very special effort. In my own neighborhood a couple streets down from school, there isn’t really any proper system to dispose of your waste. No garbage trucks, no recycling. 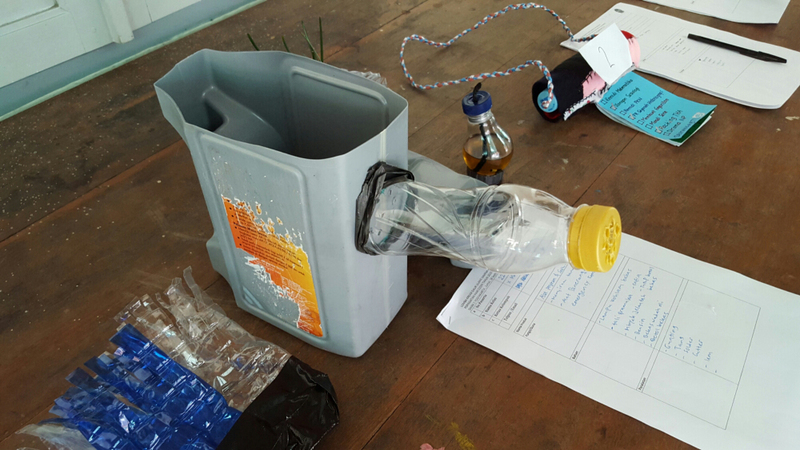 As a result, a lot of littering happens, and people turn to burning their trash in the street. School seems to have the only established system of working waste disposal, and my roommate and I bring our trash there. Things like Hari Ozone reinforce the positive reputation that SMAN1 has in the community, but today I got to see a completely different side of my school. In my fellow teachers I saw the playfulness and good humored jest that comes with field-day type games, and in my students I saw so much innovation and creativity and it was incredibly inspiring. 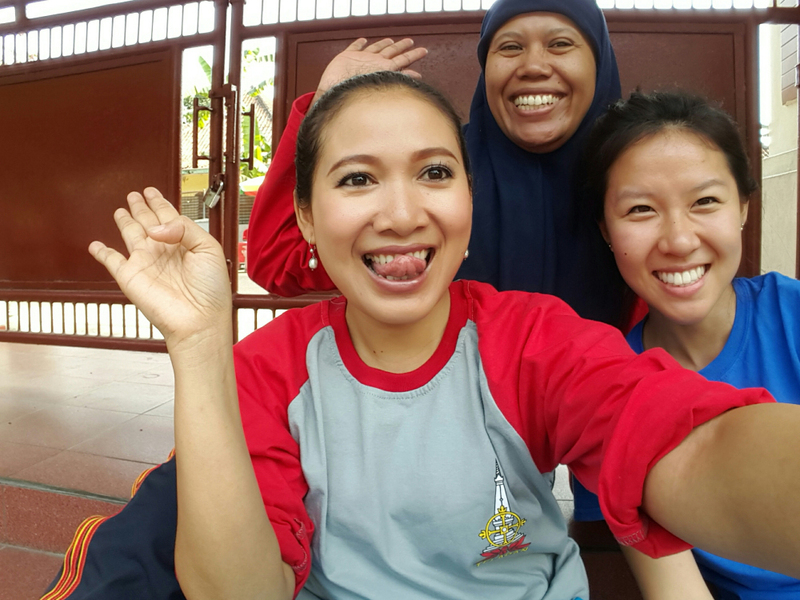 Julia Xia is a Fulbright English Teaching Assistant at SMAN1 in Yogyakarta, Central Java. She graduated from Rutgers University with a bachelor’s in Cell Biology and Neuroscience and will attend Emory School of Medicine following her time in Indonesia. Julia loves hiking, biking, and rock climbing, and is extremely excited to be living in Indonesia! You can follow her blog at https://juliainjogja.wordpress.com/.